aking home a rescue dog and giving it a forever home can be one of the most fulfilling moments of anyone’s life. These animals often come from bad homes and have a history of abuse, so to finally give them room to run, good food to eat, and lots of love is truly a gift better than any other. 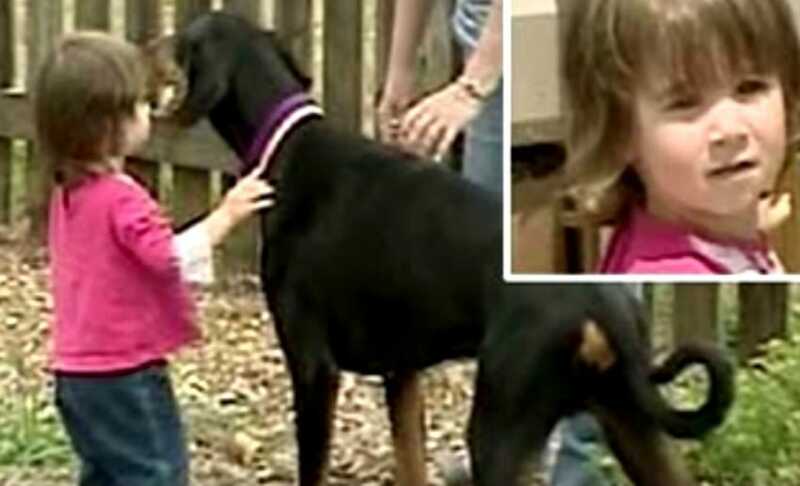 So, when a family in Australia decided to take an abused Doberman named Khan into their home, they couldn’t be happier. 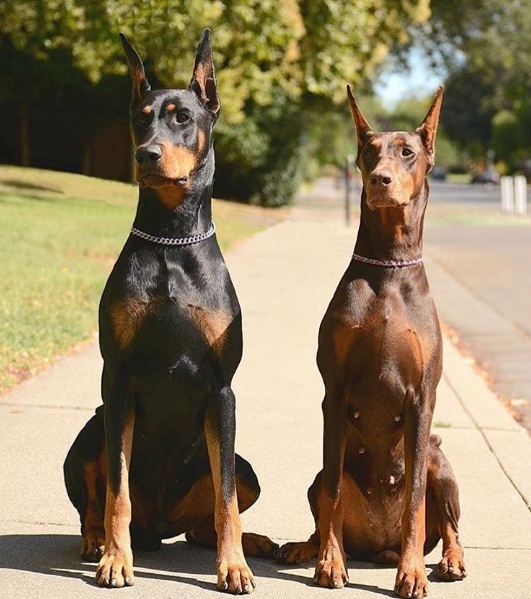 The poor Doberman had had a hard life growing up, so mama Catherine promised she was going to do everything she could to make sure that he felt like a part of their family. 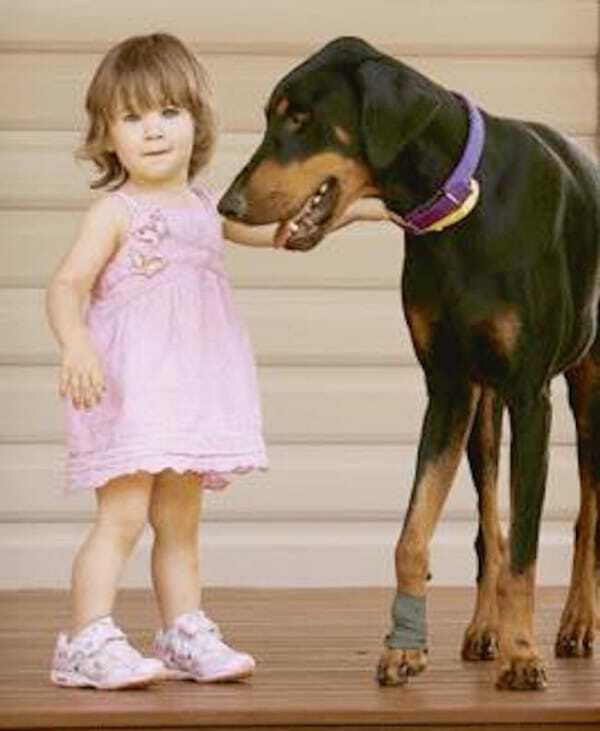 But on the fourth day in his new forever home, Catherine saw the Doberman acting strange around her 17-month-old daughter named Charlotte. He was pushing her around in the backyard, and before Mom could do anything, her little girl went flying through the air. 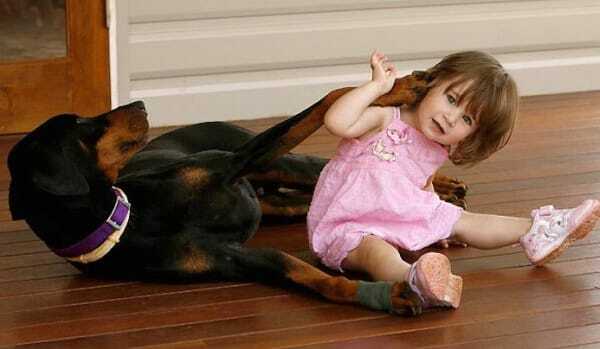 Dobermans often come with a pretty bad reputation as being “aggressive” dogs. With their streamlined bodies and intense-looking teeth, many people think they look like sharks, and thus, these beautiful animals are often ignored in shelters. But it should always be noted that there is no such thing as a “bad” breed, only bad humans who raise them! 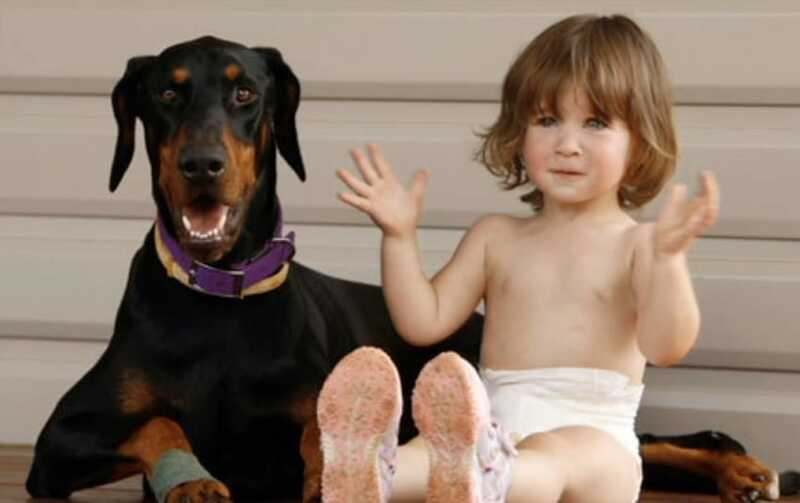 But for Catherine and her adorable 17-month-old girl named Charlotte, they knew in their hearts that a Doberman named Khan was going to be welcomed into their family and given the forever home that all animals deserve! Things were going perfectly fine, but as Charlotte was busy playing in the backyard with Khan, Mom noticed something odd about his behavior. He seemed more aggressive than she’d ever seen. Mom knew that Khan had been abused in his previous home, and suddenly, there must have been a fear. Khan was pushing the little girl around and snapping his teeth. Before Mom had the chance to react, Khan grabbed Charlotte by her diaper and threw her a few feet across the yard. But suddenly, Mom heard a horrible yelp of pain. Khan had been bitten in the paw by a king brown snake. 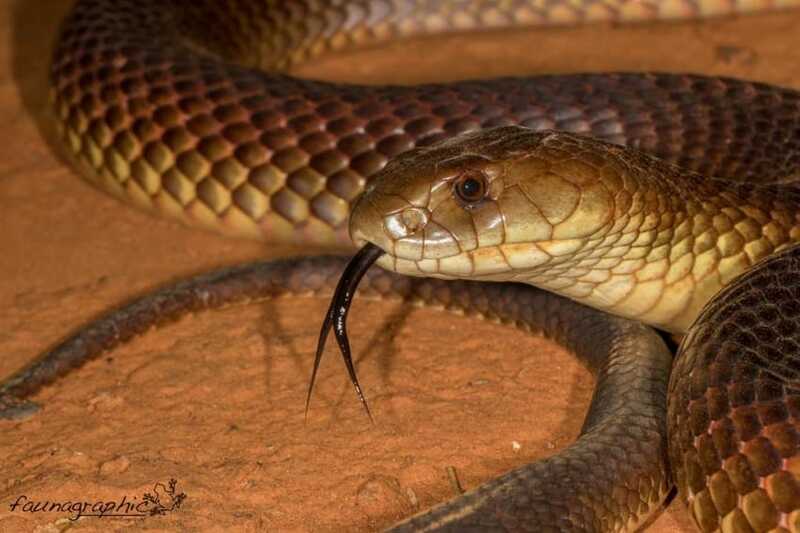 Australia is home to some of the world’s deadliest animals, and this snake’s venom can kill a human easily. A girl of Charlotte’s age and size could have had potentially deadly consequences. But Khan, bitten in the paw, kept the snake at bay. He stood between his little girl and the deadly creature. Barking at it angrily, in spite of the venom coursing through his veins, this amazing dog scared away the snake before collapsing. Thankfully, Mom managed to rush him to a clinic which had an antivenom, and Khan survived. After only four short days with his new family, he already put his life on the line in order to keep them safe.